Undated handout image courtesy of the National Library of Ireland of Myles Joyce as Irish President Michael D Higgins has signed a warrant granting a posthumous pardon for Myles Joyce in respect of his conviction for the notorious 1882 Maamtrasna murder case. Photo: Image courtesy of the National Library of Ireland. An innocent man hanged for murder almost 140 years ago has been granted a pardon by the Irish President. The posthumous pardon issued to Myles Joyce by Michael D Higgins is the first granted by an Irish president in a case predating the foundation of the state, when Ireland was still part of the United Kingdom. 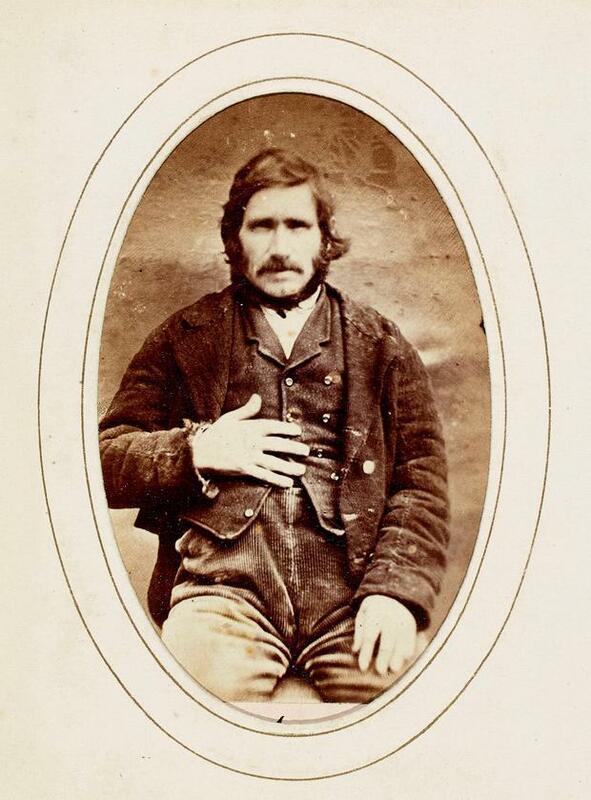 The Co Galway native was one of three men hanged in December 1882 for the murders of five members of the same family, also called Joyce, in the townland of Maamtrasna on the Galway/Mayo border. Shortly before their executions two of the men confessed to the crimes but insisted their co-accused Joyce was innocent. Their admissions were deemed insufficient to postpone or revoke the execution order. The confessions combined with concerns on the reliability of other evidence presented at trial have long raised serious doubts about the safety of his conviction. Mr Joyce was a Gaelic speaker, yet his trial was heard in English, a language he did not understand. Alleged eyewitnesses in the case were also awarded significant compensation under the direction of the then lord lieutenant of Ireland. A legal expert commissioned by the Irish government in 2015 to examine the circumstances of the case concluded that Mr Joyce, whose Irish name was Maolra Seoighe, was wrongfully convicted. Following the assessment of University College Dublin academic Dr Niamh Howlin, Justice Minister Charlie Flanagan last week sought and secured the backing of cabinet colleagues to recommend the granting of a presidential pardon. President Higgins, who has a long-standing interest in the Joyce case, signed a warrant granting a posthumous pardon, under article 13.6 of the Irish Constitution, at his residence at Aras an Uachtarain in Dublin. The pardon is only the fifth issued by the state since 1937, and only the second granted posthumously. Mr Joyce was related to members of the Joyce family murdered at Maamtrasna, and a number of their descendants attended the ceremony at the Aras. President Higgins described the trial as a "shameful episode in Ireland and Britain's history". He hailed the "simmering outrage and steely determination" of those who had campaigned to have the case revisited. Mr Higgins said the pardon would "correct the historical record". "And declare that a man - Maolra Seoighe - was wrongfully convicted of murder and was hanged for a crime he did not commit," he added.